﻿ When is the best time to floss? At Ray Orthodontics, we prefer our patients to practice good oral hygiene between office visits. Part of that process includes flossing, which Dr. David Ray will tell you, is the process of cleaning between the teeth to remove food and debris from the areas that are hard to reach with a toothbrush. When food is allowed to remain between the teeth, it provides a breeding ground for bacteria, which can cause periodontal disease. 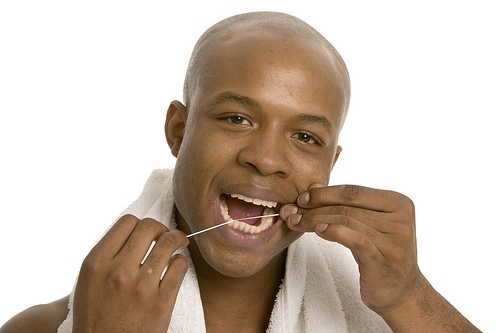 If you have questions about your flossing technique or what type of floss is best for your teeth, contact our office. Our staff will be more than happy to assist you in perfecting your home hygiene regimen. In most cases, you can choose between interdental cleaning picks or flexible floss strands to perform your daily flossing routine. If you have permanent oral appliances or restorations, be sure to follow the flossing instructions provided to you, and contact our Westerville, OH office with any questions.